With Our In-Depth Reviews on The Best VPNs, You’ll Be Buying Smart From The Very Start! VPNs ( Virtual Private Network ) have soared in popularity in recent years, mainly due to the threat of hackers, spying governments and other security concerns. With a VPN service, you are protected from such threats to your privacy and precious data and documents that you may have stored on your devices. In this Best VPN Guide for WordPress users, individuals, families, programmers and web developers, I will go through the process of buying a VPN and what to look for in a VPN service provider, so that you buy the best VPN service for your own requirements. There are plenty of free VPN services out there, but these will sell your data to 3rd parties at a drop of a hat, which defeats the object of a VPN. I have also included the best VPN providers that I think offer the best service in terms of protection, privacy, security, speed, performance and price. You might be thinking “Why on earth would someone need to buy a VPN”? 1 – VPNs will allow you to hide your internet from your Internet Service Provider (ISP). 2 – VPNs will allow you to hide your online activity from your government, CIA, FBI, NSA and any other government run agencies. 3 – Allow you to take part in P2P torrent downloads safely. 4 – Dodge website blocks and censorship that have been put in place governments, educational institutions or places of work. 5 – VPNs will enable you to fake your IP location so you can watch streaming services such as US Netflix, Hulu and BBC iPlayer. It can also allow you to access restricted sporting events, such as boxing matches, basketball, MMA fights and football games. With well over 5000 servers in 62 countries, NordVPN is an absolute beast when it comes to worldwide coverage. They perform extremely well in all our reviewing criteria and is the best value for money VPN in our opinion. Ivacy is a privacy-friendly no-logs VPN service. Great value for money. Prices start from just $1.33 per month. Expensive but well worth the money. ExpressVPN scored very high in all review tests. Best premium VPN by far. VyprVPN has excellent VPN connection speeds for streaming. Lots of Netflix libraries including US Netflix. NordVPN ranks top for torrenting. Works with all major streaming services Netflix, BBC iPlayer, Hulu and Amazon instant video. NordVPN has the largest and most robust network of servers out of all the VPN service providers. They have over 5000+ servers which are located in 62 countries around the world, giving their customers great coverage when it comes to accessing servers. NordVPN comes with an easy to use interface and gives users the ability to connect up to 6 devices at the same time. You can also access different servers in different locations. It also provides users with easy to use apps to use on all your devices, which enables them to connect to the VPN instantly and the ability to change between different server geographic locations without revealing your identity. As with most of the big VPN service providers, NordVPN has the highest industry standard encryption. Actually they have a double layer encryption technology which provides customers with even more security. This is ideal if you work outside form a normal office environment that requires you to access the internet over public WiFi locations. 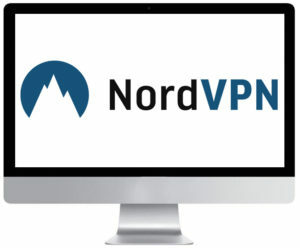 Should you wish to have a dedicated IP for your VPN, NordVPN offers this option, which is ideal for those users looking for a more advanced level of VPN connection. There’s no bandwidth or download caps with NordVPN, which makes them an ideal choice among VPN for torrenting. NordVPN have a zero log policy which means that they do not record any server activity usage of their customers. Another great thing about this VPN services is the advice they offer users when connecting to servers. They guide them on what the best servers are for their own personal usage. For example, if a user wants additional DDoS protection against hackers from a certain country, then NordVPN will recommend a certain connection to a server in a specific location within a country. Another big player in the VPN market, ExpressVPN has a strong infrastructure of servers in 145 locations in 94 countries. 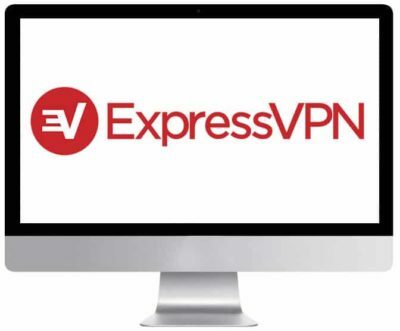 Again, as with most big VPN service providers, ExpressVPN provide industry standard encryption to protect your privacy and keep your internet secure. They also have a no logging policy which gives you extra privacy. Ideal for mobile users as they provide native clients for Windows, Mac, Linux, plus iOS, Android and even BlackBerry. You can only connect to 3 devices simultaneously which is a bit of a downer, but it does offer unlimited server switching which kind of makes up for the lack of multiple connections. They actually allow you to switch from one geolocation to another with ease, through just one click of a button. From a support point of view, ExpressVPN provide users with a wide range of support material and online tutorials which is a great help, especially to those not too familiar with using a VPN. The technical help both online and offline is of a very high quality. IPVanish is one of the most popular VPN services in the world and offers it’s users an incredibly user friendly platform which can be used by beginners and professionals a like. They allow their users to connect to their private secure network with relative ease and use their many different apps they have available on their intuitive user interface. A quality service that delivers impeccable customer service as well as giving you lightning fast download speeds and zero logs, which provides you with 100% privacy. The thing I like most about IPVanish is its 100% focus on security and quality of service. While other VPN services talk up their “Free offers” and “Special Deals”, IPVanish, it would seem, focus on offering a high quality service, with the fastest VPN in the world, at a fair price. IPVanish has 40,000+ shared IPs, 500+ VPN servers in 60+ countries, unlimited P2P traffic, and no log policy to name but a few of their impressive features. Another unique feature of IPVanish is that they allow you to connect simultaneously to up to 5 devices on just one account. IPvanish is more expensive than most VPN services, but if you consider what you’re actually getting for your money, then I think it’s a pretty good deal. 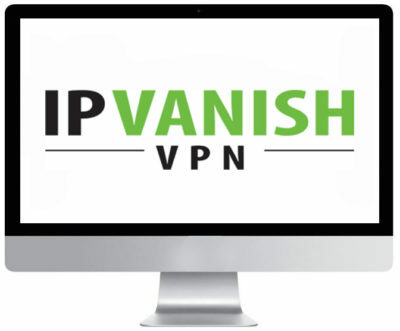 IPvanish is considerably faster than other VPN service providers which is purely down to their huge infrastructure, robust network and bandwidth capacity. Remember if you’re not happy with your IPVanish VPN, then you have a 7 day money back guarantee. CyberGhost performed well on our review test. They have more than 2,900 servers across 59 countries, which provides users with very good coverage Worldwide. They are Romanian based VPN service with a strict “no logging” policy, which means that all your data will always be private. 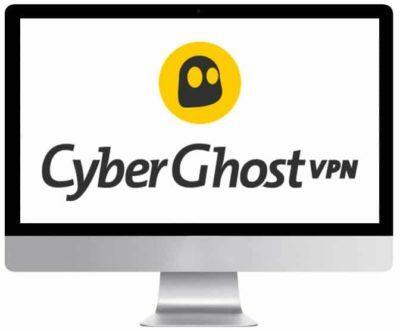 One of the main concerns using this VPN is the current owners of CyberGhost. Kape Technologies purchased CyberGhost in 2018. They were infamous for their involvement of creating and distributing malware. Not the best of reputations to have when running a VPN service. CyberGhost works on all devices and is fully Tor compatible. You can easily and quickly download their app on your Windows, Android, Mac, iOS, Linux, or router. Our tests have shown that there are no IP / DNS leaks. Your location will always remain private. There is a kill switch should anything happen to your connection. CyberGhost is not full torrenting friendly. CyberGhost works ok with Netflix content and supports most major protocols. These include OpenVPN, PPTP, L2TP, and IPSec. Overall CyberGhost is a good, solid and reliable VPN provider that has more upsides than down. Customer service could do with some improvements as well as their download speeds. PureVPN states that it’s “The World’s Fastest, Most Reliable and Easy to Use VPN Service in the World” and to be fair they’re not that far off with being correct with that quote. There’s still some way to go, but with the infrastructure and the sheer amount of connections options that they have, they are certainly one of the major players when it comes to affordable VPN services. PureVPN as a logging policy that records the amount of time you spend on a server and the amount of bandwidth uses, but that’s it in terms of collecting data from you. Although some reviews will say that PureVPN lacks the performance and speed needed for a decent VPN service, I have to respectfully disagree. I actually use PureVPN and I have done my own download speed tests, which came back incredibly fast and betters those speeds quoted by IPvanish and NordVPN. The unique features that are offered by PureVPN are have exclusive Torrent servers, split tunneling features and an internet kill switch. The split tunneling is especially useful as it means that the user can access both the public internet and a restricted private network at exactly the same time. The pricing is pretty awesome as well, as you can get their VPN service for just $2.95 per month if you sign up for 2 years. That’s just $70 for a whole 2 years of VPN!!! VyprVPN is a VPN provider that’s based in the strict privacy law country of Switzerland, so an ideal place to have a VPN business. They have quite a robust and well built service that has around 70 server locations in 6 continents and unlimited data usage. They own and manage all of their servers as well, so there’s no 3rd party interference when it comes to download speeds and security issues. 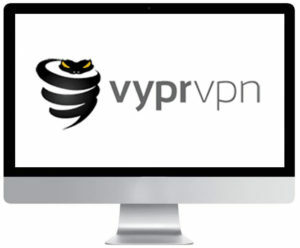 As well as all these features, VyprVPN also provides users with an incredibly user-friendly interface as well as being able to use their apps for Windows, Mac, Android, iOS, TV and your router. Private Internet Access or PIA for short, is a US based VPN service provider that has around 3500 servers located in 35 countries. This makes PIA a major player in the VPN market and gives its users world-class VPN coverage. Not only that, but their servers are so well placed around the world that it allows users to unblock most online content….but not Netflix US unfortunately. PIA offers a high quality VPN service that has a high level of privacy as well as a very well trained customer service team. Software is easy to install, but if you’re a beginner and looking for a user0-friendly and intuitive VPN, then you might be better off with NordVPN or IPVanish. PIA allows users to connect up to five devices. Their VPN can be accessed through OpenVPN, IPSec/L2TP, PPTP, or Socks5 proxy protocols. PIA is fully compatible with Windows, Mac, iOS, Android, and Linux. Price is where Private Internet Access wins. They are one of the cheapest VPNs out there as well as providing a great value for money service. Prices start at just $2.91 per month, which is a bargain as far as I’m concerned. PIA has a fair few cool features for the price you pay. You get a kill switch, a variety of encryption protocols, DNS leak protection, best server detection, auto connect to server, port forwarding and many many more. 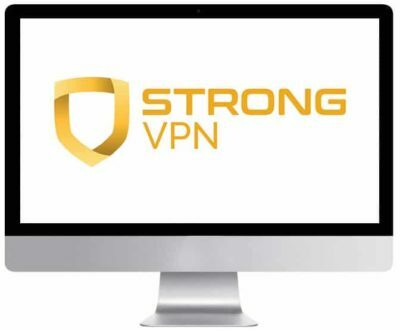 StrongVPN is another popular VPN service provider that boasts more than 12000+ customers worldwide. Their infrastructure is strong with over 500 servers in 47 cities across 24 countries around the world. StrongVPN has been in the VPN & IT game for nearly 20 years, so have a rich history and a strong reputation for good service. Like other top VPN service providers, StrongVPN has a range of apps for Windows, Mac, IOS and Android devices, that are all really easy to set up from their intuitive and user-friendly dashboard interface. Ideal for beginners and people who aren’t especially fluent when it comes to tech. There’s a high standard of encryption with StrongVPN, along with no bandwidth caps for all their accounts. They do not offer unlimited server switches, and there is a cap on them. A solid VPN service with plenty of great features, but the lack of transparency around usage logs and the cap on server switches let’s the service down somewhat. We’ve rated Ivacy as our best budget VPN service. Value for money is off the scale. 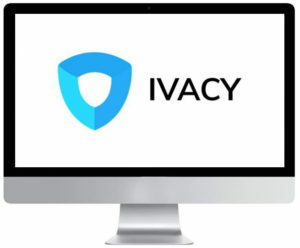 Ivacy is a VPN service based in Singapore. It’s excellent all-around service has made ripples in the VPN market due to its low cost offering and high quality features you would expect from a premium VPN brand. It recently won Best VPN for Speeds at the annual VPN awards. Ivacy has servers located in over fifty countries. Their servers are lightening fast and would suit people who want to stream video or is involved in online gaming. Privacy is a big feature for Ivacy, hence the name. They keep zero logs and their heavy encryption is guaranteed to protect you and your data from your ISP, Hackers, Government snooping eyes and other data thieves. With Ivacy’s 30-day money back guarantee, trying out their service is a no-brainer. A VPN is an acronym for virtual private network. It secures your internet connection and helps to protect you from hackers, spying governments and other people who want to steal your data. Most of use will have used the internet on the move and from multiple locations via 3G / 4G and public wifi hot spots. This is when we are most vulnerable to attacks. These public wifi spots, like when you login to a coffee shops wifi to check on emails, can open you up to the attack from hackers who want to steal your passwords, personal documents, credit card details, images and much much more. If you have a WordPress websites they can install software on your site that will hack accounts that you may have on social media sites like Facebook and Twitter. They can even steal your bank details and empty your account in minutes. If you think you’re safe at home from your fixed internet connection, then think again. When you have a VPN to connect to, you are literally putting up several barriers in front of these people who want to cause you trouble. It enables you to use the internet in total privacy via various data encryption and in different locations. When using WordPress to update your website or blog, you should have a secure VPN connection to do so. With a VPN, you will be protected from potential threats from hackers who want to install Malware on your site. A VPN vastly improves your WordPress security. With the added use of SSL on your WordPress site, along with a VPN, this will completely hide your activities and usage on your WordPress site behind multiple layers of encryption. Before you put your hand in your pocket and subscribe to a VPN service, it’s important to know that not all VPNs are created equally. Not all of them offer great levels of security. Nor do they offer a platform that’s easy to use, that your privacy is a priority to them and that your going to get the fast speeds and bandwidth you would expect from a VPN. This is why you should do your homework before you take the plunge and sign up to a VPN service. I have highlighted a few points that you need to consider when signing up to a VPN service and that should hold you in good stead. It’s paramount that you make certain that the VPN service provider you go with does not keep any logs on your usage at all. This will keep your privacy safe and secure. Some say that they don’t keep logs, but make sure that this means 100% no logs as some make keep records of how long you’ve been logged into a certain server. Make sure you find out how many servers they have in the country that you will be in the most. By having more than one server in a location, can help spread the load of demand that might be going through the servers at any one time. Please note that this alone doesn’t guarantee an enhanced performance. If a company has 600 servers in a single country and another has just 50, it does not mean for one minute that you will get a better performance from the one with 600 servers. Another really important thing to look at when signing up to a VPN service is to check that they will give you the best layer of security in order to properly protect your privacy, otherwise what is the point of buying a VPN!! When I talk about layers of security, what I mean is using layers of encryption for all data transfers through the VPN and keeping absolutely no logs on your usage. The best for VPN for security is IPVanish, in my opinion. Check what connection protocols are use. Most VPN service providers are transparent enough to show you their connection protocols. A few very good connection protocols are OpenVPN and IKeV2 which are robust, quick and most importantly, secure. They may also use SSTP and PPTP. Again, this is something you don’t really need to know too much about, but just check to see that you have a choice of connections to choose from as using different connections can help the VPN make faster and more reliable connections. Speed and bandwidth is everything with a VPN service. If you sign up to a VPN service with not enough bandwidth, then you’ll literally be throwing your money away. Make sure that the VPN provider you go with has the infrastructure to support faster VPN connections. By this I mean having plenty of IP addresses, servers in multiple locations and decent technical support. Check to see how many simultaneous connections are supported with a VPN service. It’s important that the VPN service you go for gives you between 3 and 6 simultaneous connections so you can connect your desktop, phone, laptop and tablet all at the same time. Some providers will only allow all these connections via a single user, so beware. Also check for their fair usage polices as they may have a cap on bandwidth and general usage, which could make the service you sign up with more expensive than you first thought. Again, all is not what it seems when it comes to pricing. Yes, you can get cheap VPS deals that offer a decent service, but make sure you sign to the right one. You may be sucked into signing up with a VPN with ridiculously cheap deals, but these so called cheap deals may have restricted features and not show you the taxes you will have to pay. Also these discounted priced for the first year may not continue onto the second year. So what you thought was a $3.99 a month VPN, quickly becomes a $10.99 a month VPN. Always read the small print, is probably the best advice I can give you when comparing pricing on VPN services. Also if you can pay with Paypal then this is a lot easier to unsubscribe from a service, as you can just go into your settings and cancel the payment subscription with any service you may have signed up for. Once you’ve done all your research then the next thing to do is to take the service for a test drive. VPN services normally have a trial period of between 1 and 14 days. With a short trial, you’ll certainly be able to see the performance you’ll receive from a VPN service by testing out the VPN at first hand.